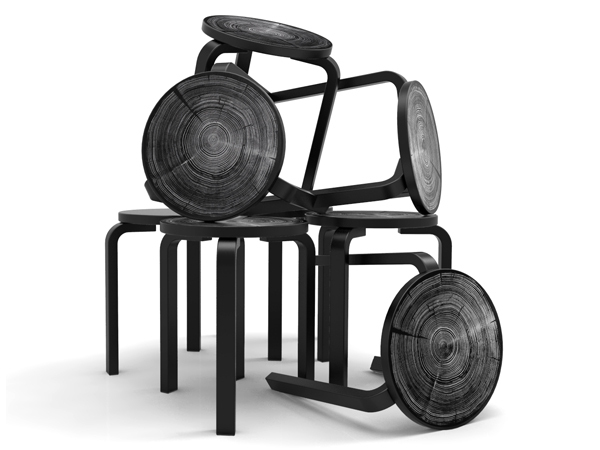 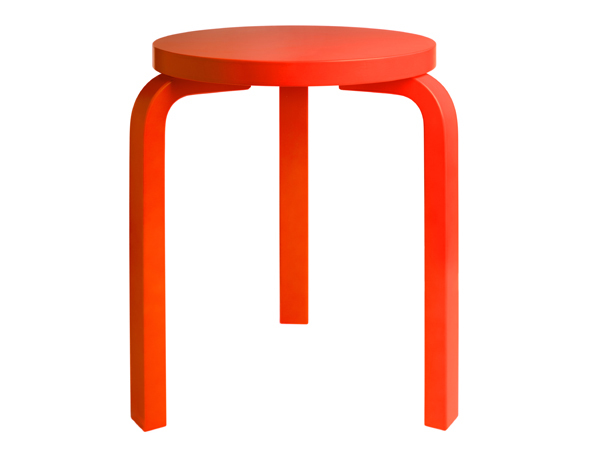 To celebrate the 80th anniversary of the Artek 60 this year, the Finnish brand has collaborated with a series of designers on new Special Editions of Alvar Aalto's classic three-legged stool. 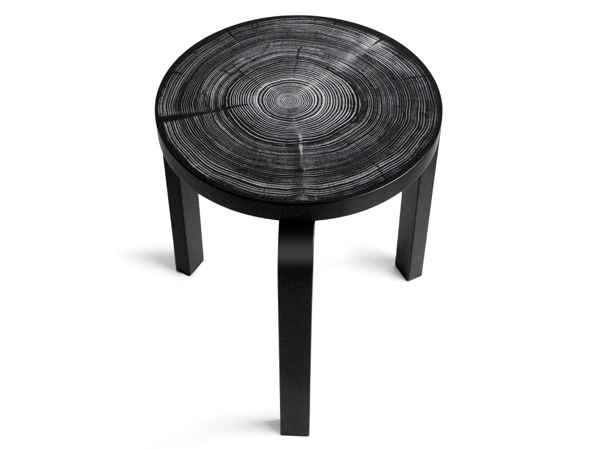 Tom Dixon has coloured the stool in his trademark fluoro orange, while Nao Tamura has transformed the seat into a treetrunk, where the rings mark the passing of the 80 years. 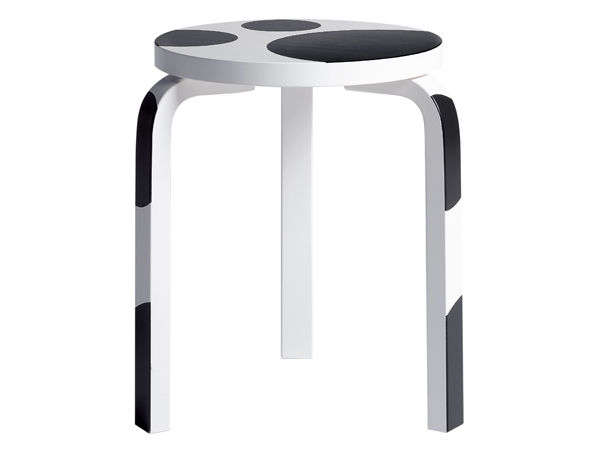 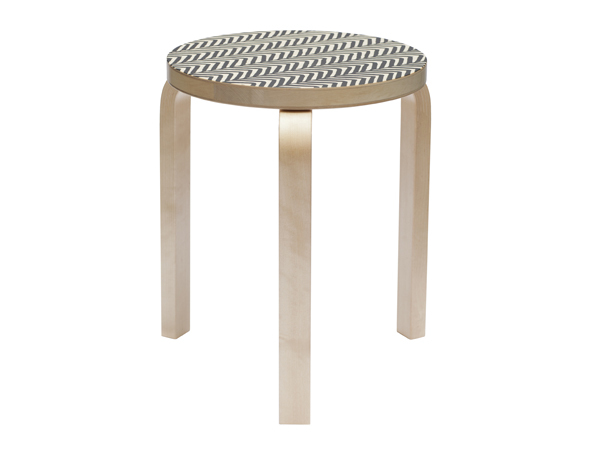 Rei Kawakubo of Commes des Garçons collaborated with Artek's design director Ville Kokkonen to create a bold, polka dot-patterned take on the stool, while Danish fashion designer Mads Nørgaard has used black stripe chevrons. 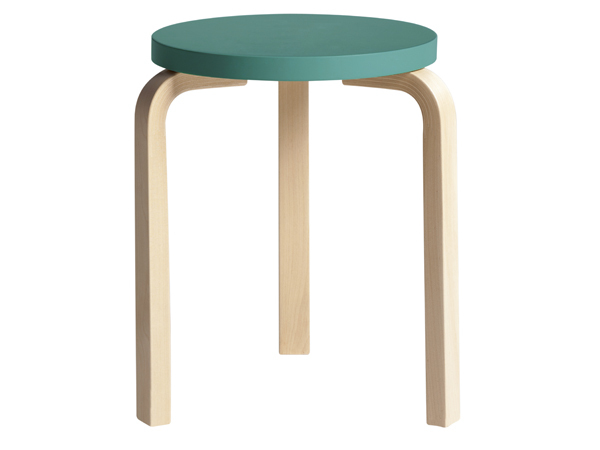 Anniversary colours of the stool have also been released, inspired by the colours of Aalto's Paimio Sanatorium: yellow floors, green walls, turquoise handrails and orange, black and white furniture.